The United States of America has expressed its intention to remove India and Turkey from the Generalized System of Preferences (GSP) programme that gives developing countries easier access to US markets. Why has Trump administration slapped a 60-day notice on India and what would be its implication on India-US trade? Why has the US chosen this moment to terminate India’s benefits under the generalized system of preferences? 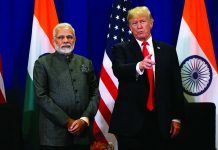 The fact is that in the current security environment, India needs the backing of the US, which has chosen a time to strike on trade when India is vulnerable in its international relations. President Donald Trump wrote in a letter to the heads of the House of Representatives and the Senate “I am providing notice of my intent to terminate the designation of India as a beneficiary developing country under the Generalized System of Preferences (GSP) program.” The president added that he had “determined that India has not assured the United States that it will provide equitable and reasonable access to the markets of India”. The GSP allows duty-free imports of around 2,000 products, including textiles and auto parts. India is the biggest beneficiary of the programme and according to US government data, in 2017; $5.7 billion of India’s exports were under this preferential system. Foreign Affairs experts suggest that India the main reason by the US intends to end beneficiary developing country status to India is that our country is not blindly following the Trump policy to corner China. Of late US President Donald Trump has issued threats to impose sweeping tariffs on China for its alleged unfair trade practices. So far, the US has already slapped tariffs on US$250 billion worth of Chinese products and has threatened tariffs on US$267 billion more. The trade war between to big powers could be understood from the fact that China, on its part, has set tariffs on US$110 billion worth of US goods, and is threatening measures that would affect US businesses operating in China. With neither Trump nor Chinese President Xi Jinping willing to back down, US-China trade tensions could erupt into a full trade war wit China’s Ministry of Commerce warned that the dispute may even lead to “the largest trade war in economic history to date”. Information collected suggests that total US tariffs applied exclusively to China are to the tune of US$250 billion, while total Chinese tariffs applied exclusively to the US were to the tune of US$110 billion. Surely it has affected growth in China. In addition to not to follow the footsteps of the US in its relations with China, India has violated a recent US law that prohibits defence deals with Russia and energy trade with Iran. The Indian Commerce Secretary has been sanguine, estimating that impact at about 1,500 crore on roughly 40,000 crore of exports to the US under the GSP scheme. That may be widely off the mark since this is just the additional duty that has to be paid by exporters. They will lose much more when their goods are pegged higher than those of competitors from other countries enjoying GSP preferences. The US, however, has given a grace period of 60 days. The US threat came when Trade Representative (USTR) said: “At the direction of President Donald J. Trump, US Trade Representative Robert Lighthizer announced that the United States intends to terminate India’s and Turkey’s designations as beneficiary developing countries under the Generalized System of Preferences (GSP) program because they no longer comply with the statutory eligibility criteria. India’s termination from GSP follows its failure to provide the United States with assurances that it will provide equitable and reasonable access to its markets in numerous sectors.” Turkey, despite being a close NATO ally, is being punished for breaking from its fold and endeavouring to partner with Russia in Syria. The Trump administration has notified its intention to remove India from a list of beneficiary countries of a zero-import duty programme, called the Generalized System of Preference (GSP), for not granting American producers “reasonable access” to its markets. India has been the top beneficiary of this programme that extends the zero-tariff regime for some goods, not all, to 120 countries. It exported an estimated $5.6 billion worth of goods to the US under this scheme in 2017, more than 11 per cent of the total value of it exports to the United States, $48.6 billion. India has a 60-day notice period during which it can persuade US to continue with preferential status. Now that would be possible only if India yield s to US demands. In view of forthcoming elections that policy shift may not be possible. Is it a very shortsighted decision by the Trump administration? Would India urge US to reconsider its move? However, it seems that India is likely to impose higher duties on 29 goods imported from the US from April 1. The decision could derail the substantive package that India and the US were working on to resolve trade issues. Higher duties have been proposed on US walnuts, chickpeas, lentils, boric acid and diagnostic reagents, among other goods, imposing an additional burden of $290 million on them. With the new tariffs, import duty on walnuts would quadruple to 120 per cent, while that on chickpeas, Bengal gram (chana) and masur dal would more than double to 70 per cent from 30 per cent. The levy on lentils would be increased to 40 per cent from 30 per cent. India had earlier too threatened to impose higher duties but had repeatedly extended the deadline in the hope of resolving ongoingtrade issues with the US ranging from GSP, agriculture and dairy to medical devices, telecom and e-commerce. India imported $5.45 billion of mineral fuels, mineral oils, bituminous substances and mineral waxes from the US in the April-December period of 2018-19 compared with $4 billion of these purchases in 2017-18. US export to India have “risen by 30 per cent in the last six months and could touch 40 per cent next year”, said a person close to the negotiations. In June last year too, US President Donald Trump had abruptly announced a hike in customs duties on some steel and aluminium products. Responding to this, the Centre had decided to levy tariffs on products like almonds and apples but its implementation was deferred more than five times as India hoped to secure a good trade deal from the US. 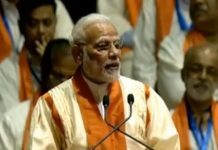 The GSP withdrawal came after Trump called India a ‘tariff king’, saying that the government imposes ‘tremendously high’ tariffs on American products. 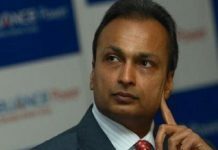 The US government said it did not receive any assurance from India that it will be given reasonable access to the Indian market. Due to preferential tariffs ranging from a percent to six percent, the total benefit from the scheme was close to $190 million. The scheme also ensured non-discriminatory trade practices between the two countries. Commerce Secretary Anup Wadhawan observed that he wondered, “why the US government took this step despite India working towards a mutually beneficial and reasonable trade package”. The Commerce Ministry said the Centre’s deal would have given the US reasonable access to various markets like agriculture and animal husbandry along with relaxation in procedures related to telecom testing and tariff cuts in information and communications technology (ICT) products but on specific terms. India was willing to cut tariffs on ICT products, where there was a direct US interest. Any other reduction could help a third party, especially China. India had adequate warning that the United States could terminate important trade preferences to the country. The US is reportedly unhappy with India because India’s recent rules on e-commerce have inconvenienced Walmart and Amazon, both US companies. The US decision would further impact Indian economy because India’s economy is slowing. The latest estimates from the Central Statistics Office point to a slowdown. The GDP growth is projected to have eased to 6.6 per cent in the October-December period. At that level, growth would have slowed to a seven-quarter low and slowest pace of annual growth for the present government in India. The cause of concern is the farm sector, which slowed to 2.7 per cent in the last quarter, from a 4.2 per cent pace in July-September and 4.6 per cent a year earlier. Manufacturing is another cause of concern with growth for the sector pegged at 6.7 per cent, weaker than the 6.9 per cent posted in the second quarter and a rapid deceleration from the April-June’s 12.4 per cent. With tensions mounting at the borders, the economy heading for a period of uncertainty and now US threatening withdrawal preferential status, it’s not a good news because the sword hanging over India’s preferential access for its exports to the US market has finally fallen. So, what are the options available to India? India needs to enhance cost competitiveness in sectors likely to be adversely affected by the loss of benefits under the preference regime. This will help offset the erosion of the GSP tariff advantage and facilitate the retentioof their market share in the US. If need be, the government could provide some financial support as an emergency measure to these sectors in the form of export subsidies. In July last year, India had announced its intention to impose retaliatory tariffs on the US. However, India has refrained from imposing those retaliatory tariffs. With the preferential benefits being terminated after a 60-day grace period, there should be no trade-related reason for India to hold back these tariffs. 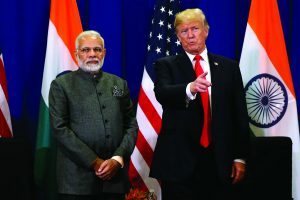 Overall, termination of India’s benefits under the generalized system of preferences presages a bumpy road ahead in bilateral trade relations between India and the US. The best course for both countries would be to continue to talk and explore ways of resolving their trade issues and for Indian policy makers is to keepthe US engaged.